As the owner of an e-commerce site, you have all the time in the world to handle customer inquiries, create new content, and keep up with your reporting and analytics. We’re kidding, of course. We know you’re busy — which is why we’ve collected six of the best ways to automate some of the most common e-commerce tasks with WordPress plugins. From recovering abandoned carts to answering your customers’ most common questions, these WordPress plugins will take a load off your shoulders. Did we miss any of your favorite automation plugins? Let us know! Email marketing is a powerful way to engage with your customers — but it can be time consuming. 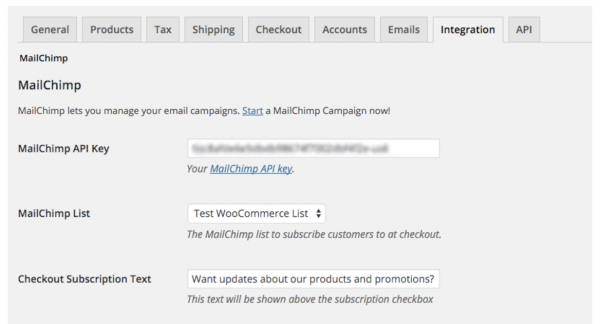 Fortunately, MailChimp integrates with WooCommerce to automate your email efforts. First, it collects data from customers, beyond just their emails. Set it up to track things like purchase amounts, specific purchases, demographics, and more. Then you can use that information to create segmented lists for more accurate email targeting. After all, according to MailChimp using segmentation can boost your email open rate by 14.31%. Second, it allows you to automatically send emails to customers based on what they’ve purchased. While it’s probably unwise to automate your entire customer service department, you can certainly make their jobs easier by providing a frequently asked questions (FAQ) page. Not only will this help head off the most common customer questions, it can also help you make the sale. Not all customers are willing to ask if they have questions — quite a few will just go find a product they don’t have questions about, instead. But who wants to wade through a long FAQ page? Instead, use a plugin like HTML5 Responsive FAQ or Ultimate FAQ to categorize and accordianize your questions, allowing customers to quickly find what they’re looking for. Ultimate FAQ even has a handy dashboard to tell you which questions get the most views. Abandoned carts can be maddening. What caused your customer to add a product — or ten — to their cart and then just wander away? Ready to recover those lost sales? 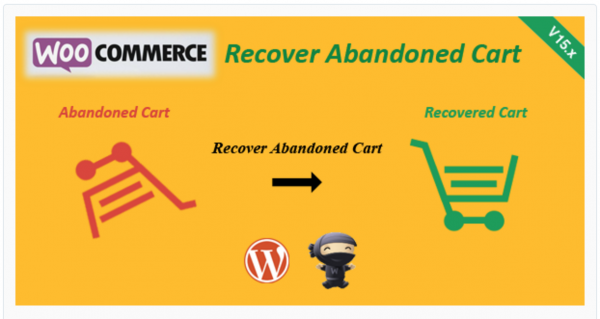 Give customer a nudge with WooCommerce Recover Abandoned Cart. It automatically sends customers an email to remind them about the products they left in their carts — and you can even add coupon codes or other goodies to help entice them back to your site. User generated content is a fantastic way to bulk up your site’s content while providing social proof about your products. If your product is visual, encourage users to post photos of it in the wild on Instagram, then automatically add it to your site with a plugin like WooCommerce Instagram. 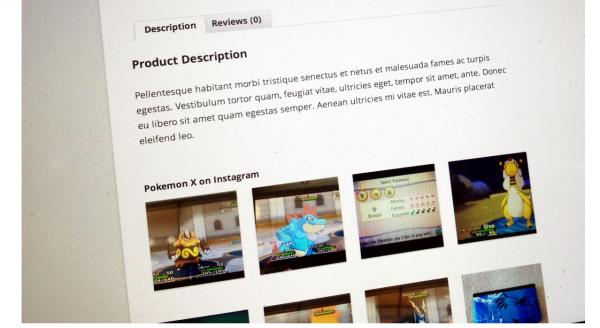 When users tag a photo with a special hashtag, it will automatically show up in a content block on your product page. It’s a quick and easy way to show potential customers how others are using your products. Knowing at a glance how your business is doing is one of the most powerful ways to make sure you’re on the right track. But instead of crunching the numbers manually every time you want to check on your key performance indicators (KPIs), install Smart Reporter for WooCommerce and WP eCommerce. You can set up Smart Reporter to tell you everything from today’s average order value to the sales trends of a specific product. Say you want a plugin that takes care of, well, everything. In that case, check out AutomateWoo. 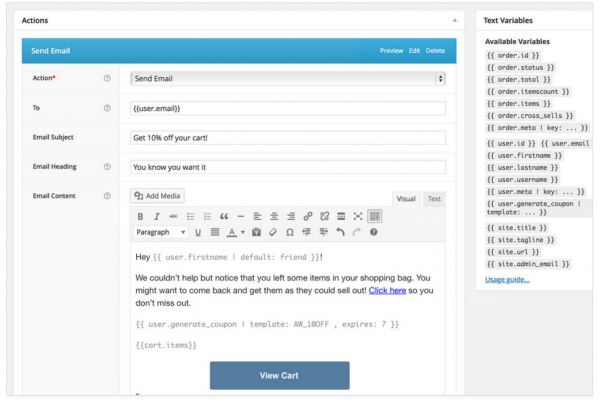 It’s a full-service marketing automation integration for your WordPress WooCommerce store, that handles everything from followup emails and abandoned carts to personalized coupons. Optional add-ons can even help you automate your refer-a-friend programs and integrate your WooCommerce store with your CRM. Do you have any favorite WordPress e-commerce automation plugins that aren’t on this list? Let us know in the comments.